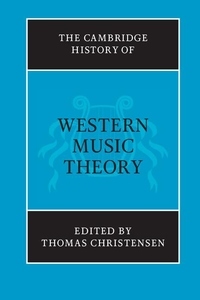 The Cambridge History of Western Music Theory is the first comprehensive history of Western music theory to be published in the English language. A collaborative project by leading music theorists and historians, the volume traces the rich panorama of music-theoretical thought from the Ancient Greeks to the present day. Richly enhanced with illustrations, graphics, examples and cross-citations, as well as being thoroughly indexed and supplemented by comprehensive bibliographies, this book will be an invaluable resource for students and scholars alike.